An intriguing renewal of the King George VI and Queen Elizabeth Stakes is shaping up to be one of the highlights of this summer’s Flat racing calendar. 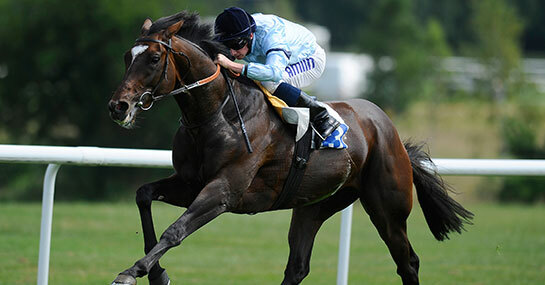 Will it be the accomplished Sir Michael Stoute-trained Telescope who justifies market favouritism or can Oaks winner Taghrooda upset recent trends and claim a historic victory? – Nine out of 10 of the previous winners have been four-year-olds. That bodes well for market leader Telescope. – Not that the KoS likes sticking the boot in but no filly has won this race since Pawneese in 1976. Combine that with the fact that there’s been just one three-year-old winner in the past 10 years and you’re dealing with a stack of trends against Taghrooda. – Seven of the last 10 victors had won a Group 1 race before – or a Group 2 at Ascot last time out by over three lengths. That gets King Edward VII Stakes Eagle Top among this list with Romsdal and Leitir Mor the only other entrants without a top level success. – Taking things up a notch further still, the last eight King George VI winners had all won a Group 1 by over three lengths. That means it’s looking good for the top three in the betting, including Aidan O’Brien’s Magician. – Eight out of the last 10 winners had won a race over 1m4f before. Does that bring last year’s Grand Prix de Paris hero Flintshire into the mix? – Perhaps not. In the last 10 runnings there hasn’t been a winner priced over 9/1. The favourite has won six of the previous 10 renewals and we expect that trend to continue. Now applies to Online, Mobile and through bets placed via the Racing Post App!